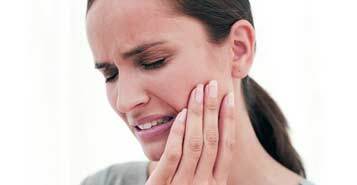 TMJ (temporomandibular joint) disorders involve the jaw joint are known to cause a myriad of problems. If you have symptoms such as pain or a “clicking” sound when eating or opening and closing your mouth, it is often because the jaw joint and the muscles necessary for chewing are not working correctly. Do you suffer from frequent headaches and/or pains in your neck? There are many treatment options available at Point McKay Dental to treat TMJ Disorders. Dr. Paul Hul will complete a detailed evaluation of diagnosis the possibility of a TMJ disorder and to determine the best course of treatment for your situation. Our goal is to relieve joint pain and muscle spasms. Call us at (403) 283-7829 to book your TMJ Disorder consultation us today!